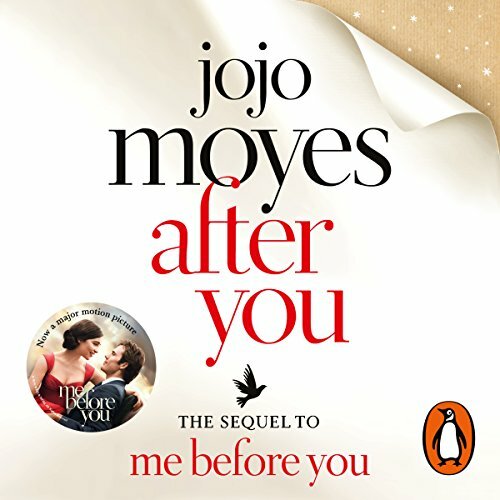 Penguin presents the unabridged, downloadable audiobook edition of After You by Jojo Moyes, the stunning sequel to the worldwide phenomenon Me Before You. 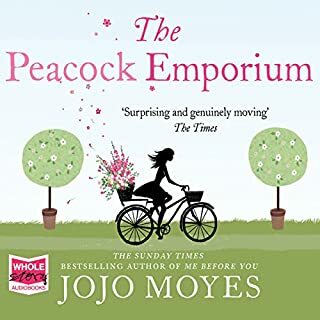 Jojo Moyes says: "I hadn't planned to write a sequel to Me Before You. But working on the movie script and reading the sheer volume of tweets and emails every day asking what Lou did with her life meant that the characters never left me. It has been such a pleasure revisiting Lou and her family and the Traynors and confronting them with a whole new set of issues. As ever, they have made me laugh and cry. I hope readers feel the same way at meeting them again." So great to have Louisa and her loveable family back. I really enjoyed this book. So well written. The story was interesting, surprising at times and a tiny bit predictable in the end. Loved the characters from her support group as well. I listened to the whole book in a couple of days, couldn't put it down. A perfect follow on, extremely well performed by the narrator. I was desperate to read this book after finishing Me Before You. It was disappointing that the narrator was not the same for both books. I liked the narration of Me Before You better. There was a real problem with inconsistent volume during the narration. I constantly had to adjust the volume in my car which drove me crazy. The story was good but it lacked something that made the first book so good. I didn't smile as much or feel overcome with sadness but I still enjoyed it. The main character and some of the family characters seemed vastly different between the first and second books (more than what I expected). Lovely story but terribly mastered! The fluctuating volume makes for a slightly frustrating listen. Otherwise a nice story. Listen to the sample before buying! I can't comment about the story as the narration is distracting me. The book has reached chapter 8 so far and I found myself rewinding the file multiple times. It's not easy to focus on the story as the narration is not very smooth. The narrator whispers and I have to turn up the volume to hear her, then she speaks normally and it's too loud for me. It's also difficult to make out which character is being quoted, all sound similar. I can't relax listening to this. loved the story . hard to switch off at end of each chapter. looking forward to the next part of the story. I feel like I've actually got some closure after Me Before You! I hope they make After You into a film too. This book is the answer to all the questions I was left hanging with after reading Me Before You. A simply amazing storyline with a fantastic narrator. Good follow up story . Predictable at times but nonetheless l enjoyed it. Easy listening. Good story, very fast narration. I would like a little bit slower narration because I couldn't understand the narration in some points. 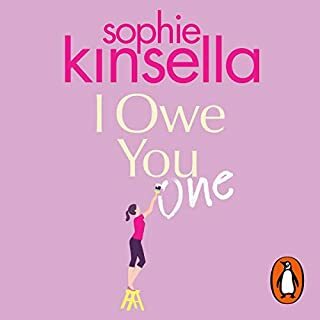 It’s not as good as Me before you and the narrators accents are sometimes a bit offensive but overall an easy listen. Didn't like the narrator on this one. Was disappointed. Liked Me Before You should have left it there. Me Before You is a hard act to follow, but After You deals sensitively and realistically with the lives and emotions of people left behind. 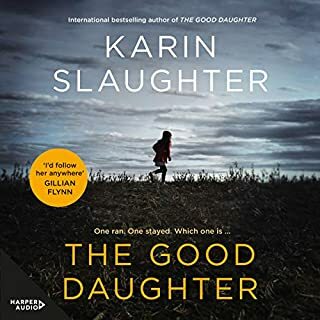 The storyline could under normal circumstances be rather dark and depressing, dealing as it does with the main character's struggle to climb out of her grief. 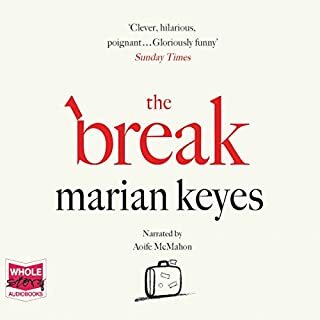 But I found it compelling with unexpected snatches of humour that had me laughing out loud. 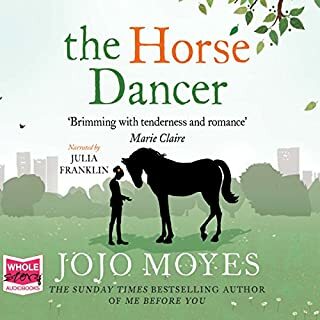 The characters- particularly Louisa's family - are delightful and believable. I could do without some of the bad language, but the atmosphere of the story stayed with me long after I finished the book. The author paints vivid pictures with her words - she somehow evokes all the senses. Anna Acton's performance was outstanding and contributed hugely to my enjoyment of the book. What an actress! 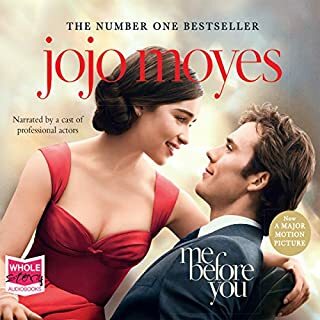 It's a good book but since its a sequel of " me before you" I had lot of expectations and its not as good as "Me before you" . Overall a decent story but wish it was as good as its pre sequel . What's there to say? She's pulled an el. James. 1st book a best seller, so she decided to milk it. Well, it's a sappy horrible written happy-ever-after. Book was ok, not as good as the 1st one a little disappointed in this. This book got me laughing and crying and I fell in love with ambulance man sam. How I didn't want this book to end, but couldn't stop listening. what a superb listen! 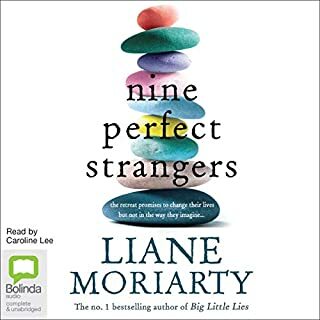 I laughed and cried my way through it, often waking up at night to listen to just a little bit more..... At first I was thoroughly enjoying it, but then was afraid the story was about to follow a very stereotyped pattern. Not at all, fortunately. A wonderful interplay of relationships, damage and triumph with all characters really coming to life. 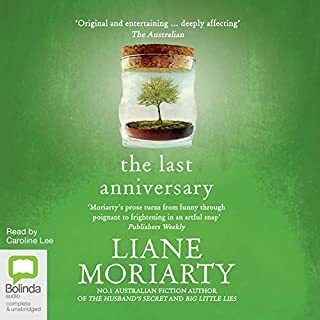 The book could have ended several times along the way, and the advantage of listening, rather than reading, was that I was never sure how much more of the story was left, or if it was nearing its conclusion. Ok, I could have looked to see how many chapters it comprised, but it was much more of a surprise and joy in this way. 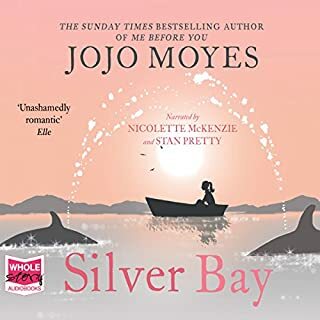 I have loved two of Jo Jo Moyes other books, really hated one, and been ambivalent about some others. She seems a rather patchy writer, but has really hit the jackpot with this one. The narration is absolutely superb; it just couldn't be better and immensely added to the enjoyment of this story. 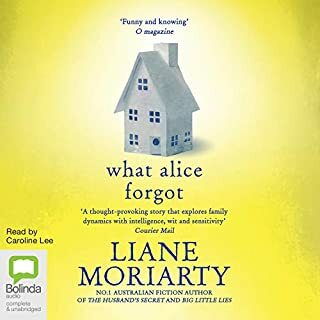 She did a great job of carrying on Louisa's story, in fact given the first book any story would be hard to follow and it was a well written and enjoyable read. Poor when compared to 'Me Before You'. 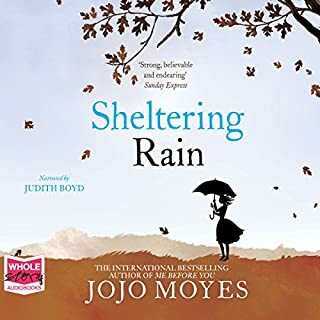 What was most disappointing about Jojo Moyes’s story? I don't believe 'Me Before You' needed a sequel. It was a great book, with a solid ending. This is a long way from that. It meanders, with little discernable direction. None of the characters particulary engaged me. I didn't even recognise Louisa from the previous book. 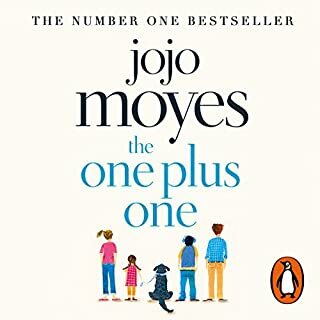 I have loved most of Jojo Moyes' work. This one just isn't up to her usual standard. Such a good sequel to 'me before you'. The narration really good to. The story made me laugh and cry. Very well written. Love jojo moyes books. I was a little suprised to hear that there was going to be a sequel to " me before you" but when I read what the book was going to include , I pre ordered it, and couldn't wait for it's arrival. Firstly I would say that it is impossible to create the same intensitivty that comes from Me before you, becouse of the subject matter. An impossible act to follow. . I personly enjoyed finding out what happened in the time after... A few suprises along the way too ! I thoroughly enjoyed the book.good narration . 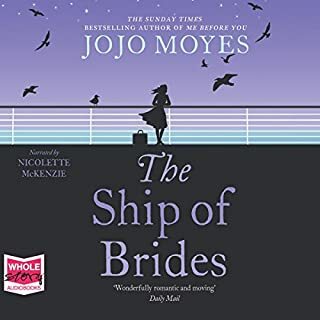 Would you ever listen to anything by Jojo Moyes again? What does Anna Acton bring to the story that you wouldn’t experience if you had only read the book? Saves me having achy elbows from holding the book! If you could play editor, what scene or scenes would you have cut from After You? Would never have published the book, it's totally ruined my memory of me before you, just a horrible story and so far fetched. Should have used the same narrator as me before you as well. Nobody seemed like the same character, not just the voice but also their personalities. 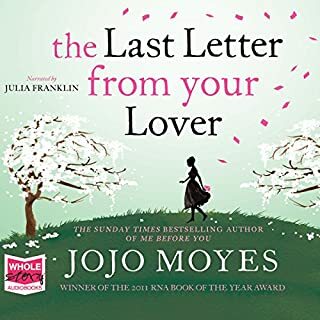 I would read Jojo Moyes again because I really loved Me before you. I think it's a lovely book! yes its a different narrator but thats not unusual. still has the essence of the story and beautifully written as usual for Jojo. What did you like most about After You? What other book might you compare After You to, and why? Have you listened to any of Anna Acton’s other performances? How does this one compare? It was so depressing for the first 1/3 of the book, I thought of getting a bag of Prozac to get me through. Performer's voice was monotonous and boring and so sad, quiet and hopeless that I often had to adjust the volume to hear what was read. 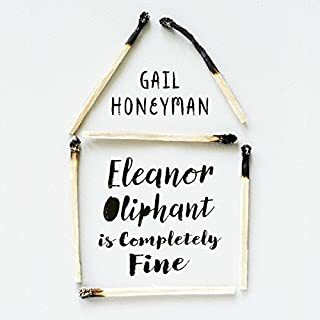 i kept compering it to the "me before you" audiobook, where Lou's narration was a pleasure to listen to even in the saddest moments, her voice's liveliness keeping the story somehow lighter. 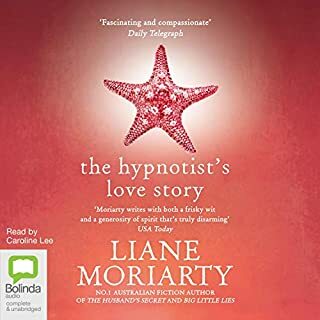 In this audiobook the nature of the plot plus the voice simply became too much for me. 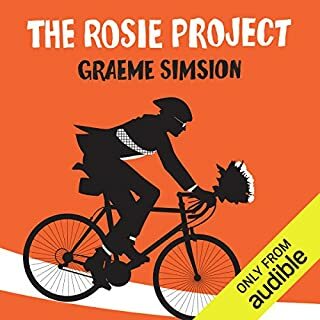 It was difficult to separate who says who rather often at the beginning and Sam's voice...God, it was the worst part of this audiobook...If you can't do male voices, hire someone who can. The last few chapters were read more like what I was expecting, but there was more Sam so it spoilt my mood anyway. As sequel goes this is different. Thankfully the ending isn't as heart wrenching as Me before you. It's still leaves me asking what happens next though. Louisa is really not like the usual chick lit heroine. She is just as messed up as we know we are ourselves. 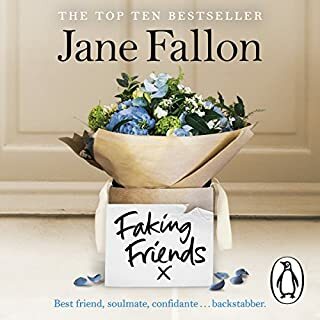 Really enjoyed this book I do hope there is a third.